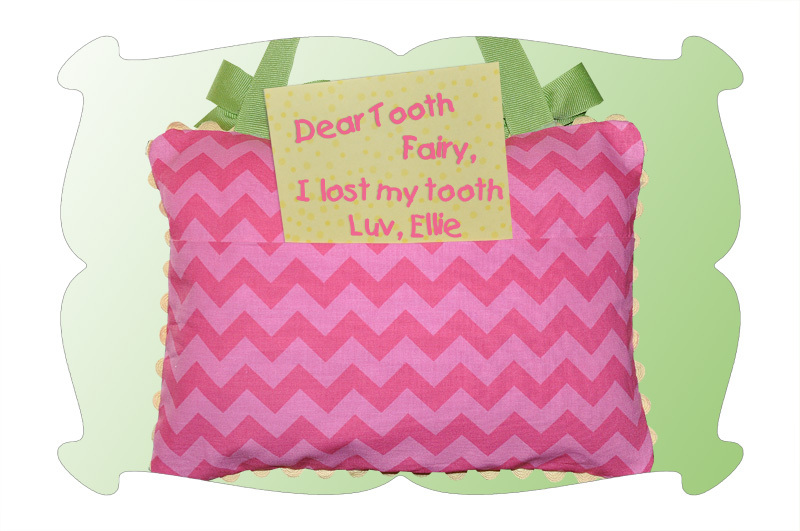 Our Tooth Fairy Pillow features a Tooth Fairy applique and a special little pocket (on the front) for safe keeping her little tooth...or money from the Tooth Fairy. Made in the hoop, in just one hooping, with no additional sewing to do. 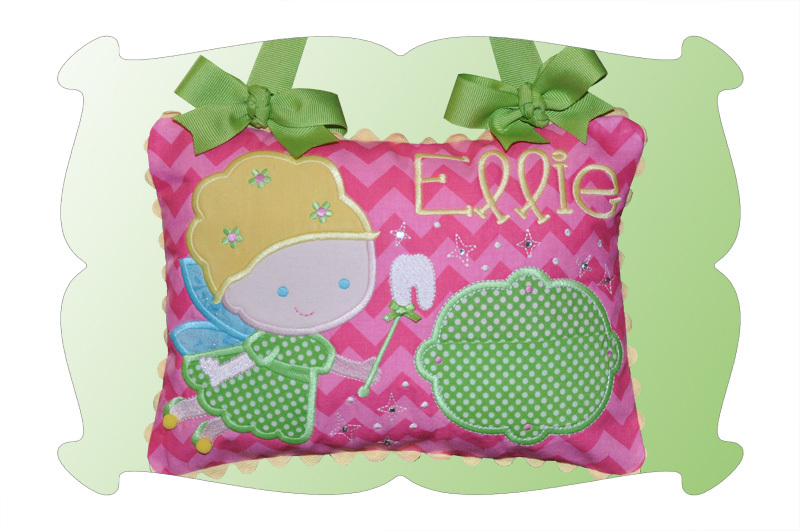 Please note: The font shown (the name Ellie, is not included), however instructions are included on how to add a name to the pillow. The font shown (the name Ellie) is the Riley Embroidery Font. 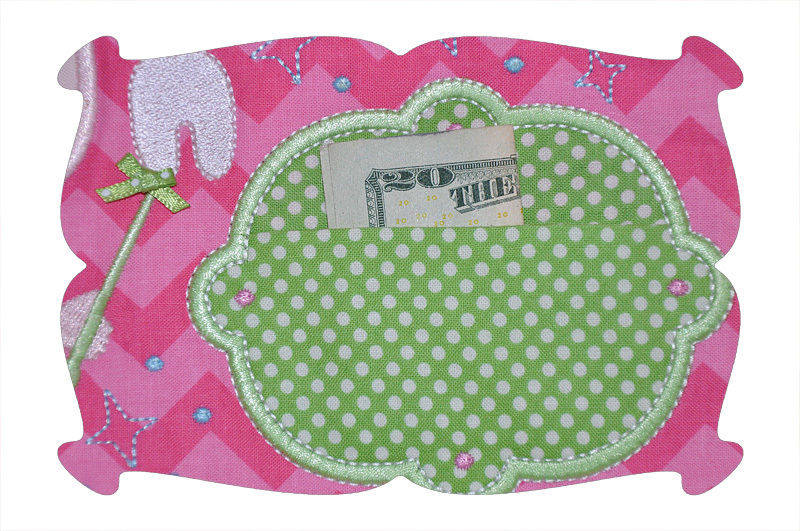 Please see the Related Products page for purchase information. 5x7: 5.00 x 6.98. SC: 14,672. 6x10: 5.90 x 8.23. SC: 17,451. 7x12: 6.70 x 9.35. SC: 19,874. 8x12: 7.70 x 10.74. SC: 22,739.